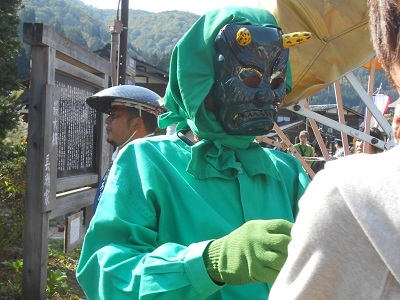 Shirakawa-go Doburoku festival takes place annually at three different Hachiman shrines in Shirakawa village. 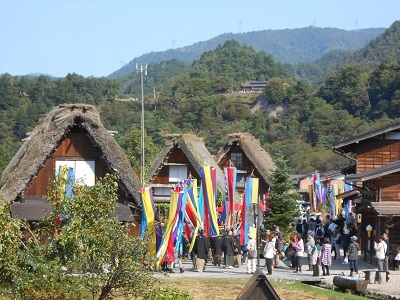 Shirakawa Hachiman Shrine festival is the biggest among them, and is held on October 14th and 15th. 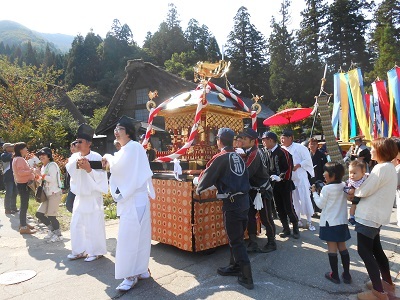 Hatogoya Hachiman Shrine festival is held on October 16th and 17th. 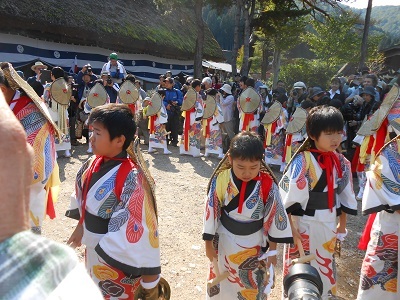 Iijima Hachiman Shrine festival is held on October 18th and 19th. The itinerary of the festival is as follows. 9:00am; Festval ceremony at the shrinestakes place. Procession strolls along the village streets. Lion dance is performed. 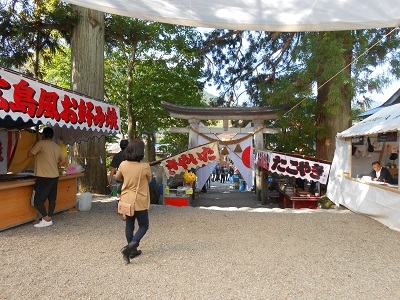 3:30pm; Doburoku sake starts to be served to visitors. 7:00pm; Lion dance performance is dedicated to the shrine. 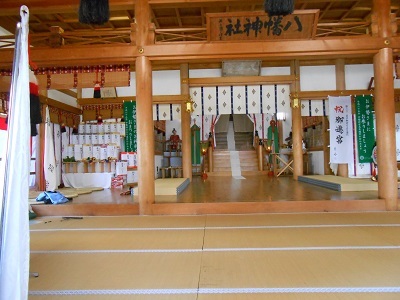 8:00pm; Local folk dance is dedicated to the shrine. Stalls in the shrine precincts sell Takoyaki food and so on. 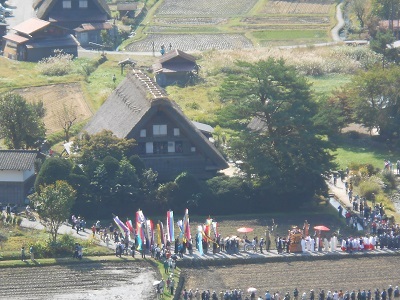 Festival flags and gasshio houses. 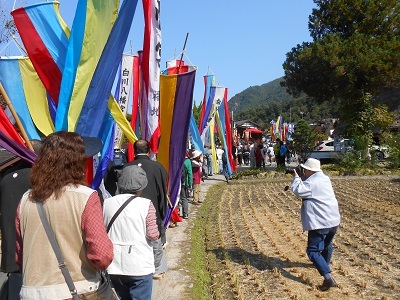 Festival procession beside a harvested rice paddy field. 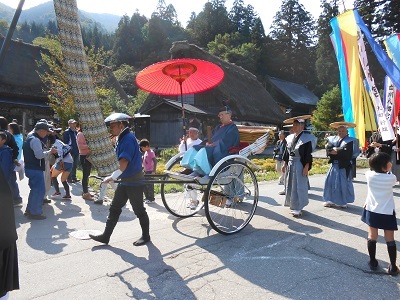 Shrine priest on a rickshaw. A blue ogre and a red ogre are believed to protect villagers from a devil. Festival procession goes on near Wada house.